Comments: An excellent full folio view of Sidon in Lebanon, an ancient city which was the site of many seiges and battles during and after the Crusades. Price: $1,100 uncolored, $1,250 colored. 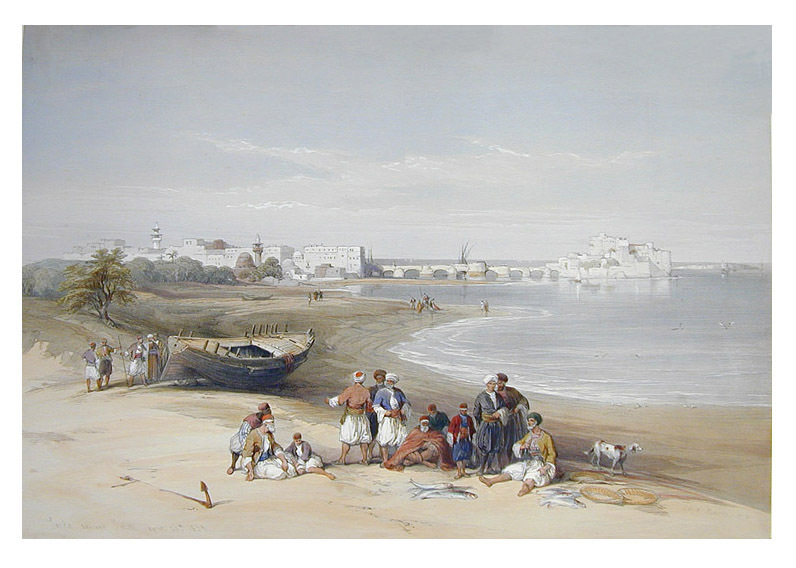 Title: General View of Sidon. Paper : 17" x 24"